Elutec, a new UCL-sponsored University Technical College aimed at students with an interest in engineering careers, is holding its first ever Open Day on 20 July. Elutec will teach 14-19 year olds living in east London and Essex and is due to open in September 2014. The College is sponsored by UCL, Ford Motor Company, CEME (Centre for Engineering and Manufacturing Excellence) and Prospects Learning Foundation and supported by the Jack Petchey Foundation. Elutec's goal is to provide a first class academic and technical education. The College's ethos is based around providing young people with the employability skills that are essential for success in work. 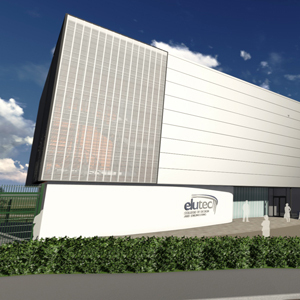 Elutec will benefit from cutting edge learning facilities, including a dedicated manufacturing line, a robotics centre and a hydraulic/pneumatic training suite. With UCL as a sponsor, the College will also have access to world-leading research and educational facilities. The Open Day is aimed at prospective students and their families living in the catchment area for Elutec who are considering engineering and design as a career option. The day will run from -10 am until 1 pm and takes place at CEME in the London Borough of Havering, where the school will be housed. The site is adjacent to the Ford Dagenham Diesel Centre and at the heart of the manufacturing cluster in the Thames Gateway. At the Open Day visitors will have the chance to speak to the sponsors of the College, local employers, admissions staff and Elutec Young Ambassadors - engineering apprentices, undergraduates and post graduates - to understand what a career in engineering and design is all about. Ruth Umerah, Elutec's recently appointed principal, who will be addressing the attendees of the Open Day, said: "My vision for Elutec is to give students the best possible start in their careers by providing them with a first class technical and academic education." She added: "In essence Elutec graduates will stand out because, as well as achieving their full potential academically, they will have developed core employability skills such as the ability to solve problems, lead and support in teams and communicate confidently along with the technical skills that will fill many of the gaps identified by industry." UCL is contributing to the educational programmes and the governance of Elutec, led by Professor Anthony Finkelstein, Dean of UCL Engineering. The world-class teaching materials and facilities of the university will be opened up to students, while events both at UCL and Elutec will be designed to allow students to benefit from the connections. Professor Finkelstein said: "UCL is committed to developing an educated and skilled engineering workforce in the UK. By sponsoring Elutec we are expressing our commitment to educating engineers and technicians who can realise the world-changing technologies we want to deliver. UCL is committed to developing an educated and skilled engineering workforce in the UK. By sponsoring Elutec we are expressing our commitment to educating engineers and technicians who can realise the world-changing technologies we want to deliver. "Practical ability is essential to building an advanced and innovation based society; innovation needs to be realised if it is to have any purpose. Engineering is a continuum where everyone, from the fundamental researcher to the quality control team is a necessary part of the whole." All Elutec students will study engineering. In years 10 and 11 students' projects will be underpinned by the Cambridge Nationals in engineering design, manufacture, practical electrics and mechanics, electronics and control systems. These qualifications will be worth 4 GCSEs. In addition, students will study GCSEs in maths, physics, biology, chemistry, English, product design, ICT and business. All students will follow a course in modern foreign languages and some will study for GCSE German. In the sixth form, level three students will study up to four A Levels (or equivalent) in engineering, sciences, maths, ICT or product design. The College will also offer courses for students at level two who might need an additional year before they are ready to move on to level three.